WTTC has announced the 2018 leaders in sustainable tourism at the 2018 Tourism for Tomorrow Awards ceremony. The Awards, which were presented at a special ceremony during the 18th WTTC Global Summit in Buenos Aires, Argentina, celebrate inspirational, world-changing tourism initiatives from all over the globe. 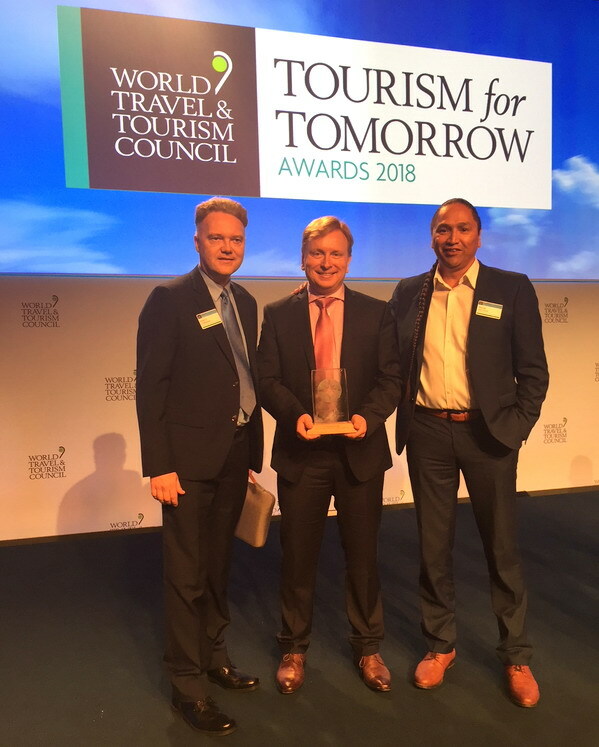 GSTC Member Thompson Okanagan Tourism Association (British Colombia), has been declared as the 2018 Tourism for Tomorrow Awards winner in the Destination category. Riverwind Foundation (Jackson Hole, Wyoming, USA), a longtime GSTC Member and a GSTC Eary Adopter, was chosen as the Finalist in the Destination Category.The 2018 Awards winners are highly commended and recognised for business practices of the highest standards that balance the needs of ‘people, planet and profits’ within our sector. This year’s winners are industry leaders who promote inclusive growth, and work toward a greener future as a result of their proactive contributions to sustainable development and the UN’s Sustainable Development Goals (SDGs).